We are well into 2017, over halfway through the first quarter. How are you doing on those resolutions, Arizona? Many of us are forced to admit that we aren’t doing so well, but it isn’t too late. Today you can make a fresh start on those financial goals. If you don’t get control of your finances now you may be forced to file for bankruptcy somewhere down the line. If you aren’t sure how to set financial goals or even what they would be you aren’t alone. When you feel like you don’t have enough money it can be scary to take a good hard look at it. Admit it, it’s easier to just not think about it. Unfortunately, not knowing how much money you have coming in or where it’s going can be a path to an Arizona bankruptcy lawyer. Following are a few guidelines to get control of your finances. The first thing you will need to do is take a long hard look at your finances. Then, in order to set goals, you should think about where you would like to be this time next year in terms of finances. Where would you like to be in five years? Once you decide what your goals are it is easier to break them down into small steps that will lead you there. There are many budgeting programs and apps available today. The first thing you need to find out is how much money you are bringing in each month and how much money you are spending each month. If you are spending more than you make, something has to give or you will indeed need to file for bankruptcy. If this is your situation you will either need to generate more income or spend less. If you are on the verge of seeing a Glendale bankruptcy lawyer, your first goal should be to get out of debt. Credit card debt causes many people to file for bankruptcy. If you frequently carry a large balance on your credit card (or cards) then you are spending more than you can afford. The goal of paying off all of your credit cards may seem overwhelming, so break it down into smaller steps. The first step is to stop using credit cards immediately. Cut them up if you have to. Your next goal can be to pay off just one credit card. Pick the card with the smallest balance and put every extra penny you can scrape together toward paying it off. What will you do when you get it paid off? Celebrate? Maybe a small one, but then, rather than spending the extra money you’ll have, apply the money you were paying toward that credit card and add it in to pay off another credit card. Think of the stress free days ahead with no credit card debt! Maybe your finances aren’t in such bad shape. If that’s the case, do you have a savings account? That’s a great goal for 2017. Opening a savings account is a piece of cake, growing it is the hard part. Look at your budget with an eye toward cutting unnecessary spending. Learning to live on less may be difficult, but it will pay off in the future. Hopefully you won’t have to live an austere existence to be able to save a little money from each paycheck. Look at things like buying lunch out every day. You don’t have to give it up completely, maybe just bring lunch from home three or four days a week and still allow yourself to go out occasionally. Once you have decided how much money you can save from each paycheck, even if it’s only a few dollars, pay yourself first. Scheduling a certain amount of your paycheck to be automatically deposited into savings may be the most painless way to go. If you wait until the end of the week you can be fairly certain there won’t be anything left to save. It takes emotional discipline to save money, but a savings account brings freedom and security. Eventually it will allow you to take a vacation without charging it. You will also find that when the car breaks down it won’t cause a panic attack. Once you have broken your major goals into yearly goals it can still seem overwhelming. Instead of thinking about the massive undertaking of paying off debt or saving a comfortable sum of money, make a written plan of the steps you will need to follow to accomplish your goal, such as how much money you will need to pay or save each month and how you will reduce spending in other areas to accomplish this. Talking about your plan is different than accomplishing it. Try to set realistic goals so that you won’t become discouraged, and keep your eye on the prize. Remember, the longest journey starts with a single step. Sometimes, no matter how responsible you are, and how hard you try, you can’t find your way out of debt. Many responsible people find themselves facing bankruptcy due to medical bills, job loss divorce, etc. 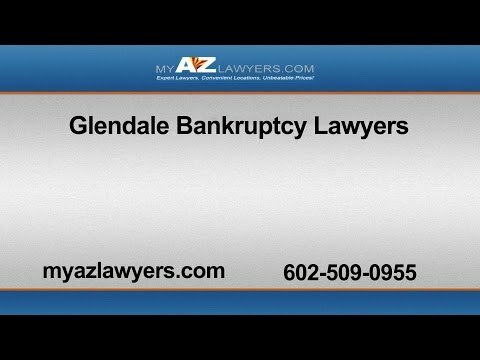 The highly trained bankruptcy lawyers at My AZ Lawyers have a great deal of experience and can advise you on the best course of action for your circumstances. Each of our bankruptcy lawyers has a minimum of 10 years’ experience in helping clients obtain debt relief and regain control of their finances.